I absolutely fell in love with Anzie Jewelry's Fall 2010 Collection when I attended the preview back in May. Anzie Jewelry is based on 'everyday luxury'. Each piece is handcrafted, using precious or semi-precious stones stones. These high quality gemstones come in a spectrum of colors, with a focus on blues and greens for fall. White topaz is the most popular stone - it's just so timeless. When it comes to color, blue lapis and topaz are my favorite stones. The jewelry is available in 18k gold, 14k gold, or Sterling Silver. What I love the most about Anzie Jewelry is the versatility. Necklaces can be worn as a single piece, or layered to create a whole different look. The jewelry can also be customized by size, which is perfect for a petite person like me with tiny wrists! It's so hard to find bracelets that can fit me! 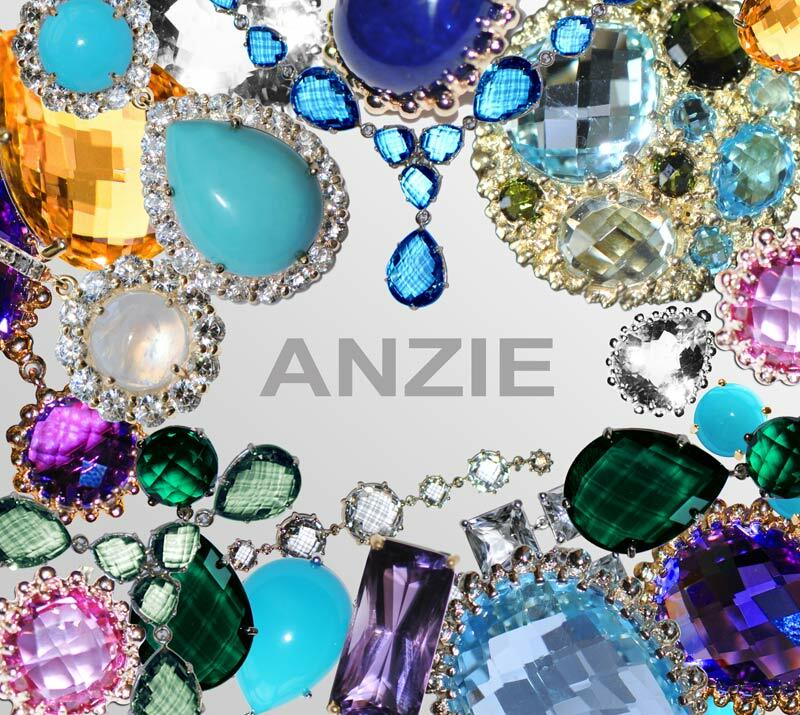 Anzie Jewelry was founded in 1999 in Montreal, Quebec, Canada by Anzie Stein. Anzie began designing jewelry as an emotional outlet. Her husband Barry was battling Colon-Cancer, which inspired Anzie to create The LifeSaver Bracelets to help raise funds for Cancer awareness. The LifeSaver Bracelets continue to benefit many charities worldwide. Anzie's daughter Jaclyn design the jewelry line with her, while Anzie's daughter Joanna handles marketing the collection. 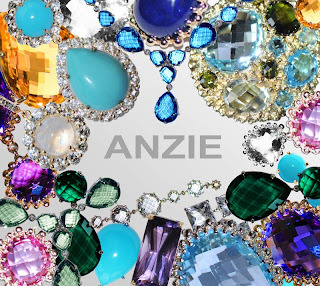 You can shop Anzie Jewelry at anzie.com and at Saks Fifth Avenue stores. Here's a a look at Anzie's Fall 2010 Collection as Jaclyn walks us through some of her favorite pieces. Here are some of my favorites from the Fall 2010 catalog. I think this blue topaz ring has to be my favorite - it is just gorgeous! Hi. It's so great to see another petite blogger :).